Building on a guide I recently posted to the Apostles’ and Nicene Creed I now present a guide to the Athanasian Creed. Sadly even among Lutherans the Athanasian Creed is neglected and misunderstood. 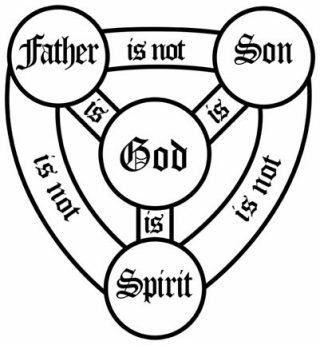 This is a shame as the Athanasian Creed contains the most complete understanding of the Trinity we will ever attain this side of heaven. It also clearly explicates the Person of Christ in a way unmatched in its simplicity. It is also the most emphatic of the three Ecumenical Creeds and contains the true essence of what it means to be truly catholic and orthodox, all of which are much needed in these grey and latter days. I have used as our starting blueprint: http://www.redeemedsb.org/blog/2016/6/23/assessment-of-the-athanasian-creed (many thanks to the original authors). While Redeemed South Bay is a heterodox church, the doctrine contained in the Creed is held in common among all Christians and thus the texts used to support it will be universal. Some references were not cogent to the point being expressed by the Creed and thus were redacted in order to improve the relevancy of the supporting Scripture. Additional Scriptural references are added in some places to clarify known difficulties with the Creed by Lutheran laity (i.e. the apparent works righteousness ending). The references below are not exhaustive. The text for the Athanasian Creed itself comes from the Lutheran Service Book pages 319-320, with the verses of the Creed in the parenthesis. Unlike the Apostles’ and Nicene Creeds I have broken the Creed into five main sections, assigning a hymn to each. 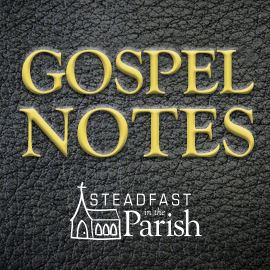 These hymns highlight the five main parts of the Athanasian Creed: Anathemas, Unity of the Trinity, Persons of the Trinity, Person of Jesus Christ, and Work of Jesus Christ. You can find a PDF version at my original post at the First Lutheran Church of Boston website. Such clarity stands head and shoulders above the likes of Pr. Becker, who fail to note any historical context and instead relegate this to “mere error-laden formula of men” so that faithful Scriptural exposition may continue to make way for progressivism. Far from being clever human soteriological minutia, it is and remains a faithful exposition of God as He revealed Himself in His Word, over and above Arius and all who would take after him. The Athanasian Creed deserves to be confessed more often than on Trinity Sunday. It is a deep statement of what we believe. It marks us. It distinguishes us. 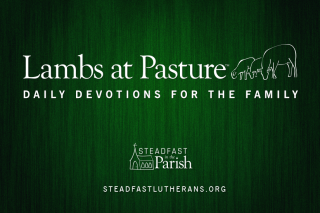 It is a hallmark of the Truth, deeply embedded in Scripture. Thank you, Dr. Edmon. I believe other than Trinity Sunday, there is historical practice of having it on Ash Wednesday; but it also would seem to be very fitting on the Last Sunday of the Church Year. I’ve also seen it done that churches will confess the Athanasian Creed on 5th Sundays. Suffice it to say this Creed is indeed neglected and worthy of more recognition and study than it gets. Doing it responsibly beaks up the length and can make the meaning clearer. I really appreciate the chart with all the scripture references and the fact that it is downloadable in PDF. Thanks! Last year while traveling, I attended a LCMS church in Wisconsin. Being Trinity Sunday, I was looking forward to reciting the Athanasian creed. The pastor said he did not want to bore us with the Athanasian creed and omitted it. Then the contemporary service from the 70’s began. One member apologized by saying we only do this once a month. As an LCMS pastor, my congregation used the Athanasian Creed (AC) at both services on Trinity Sunday. Yet I have a weighty question that is premised on our affirmation that our final authority in matters of faith is the Bible. With respect to statement # 33, I have long sought biblical substantiation that supports its unambiguous assertion about the incarnation of the Son, that it occurred “not by the conversion of the divinity into the flesh, but by the assumption of humanity into God.” Yet my search availed nothing except for conjectures based on finite logical reflection stemming from lectures that are grounded in historical theology. While I understand the intellectual quandary the AC’s point seeks to address, this mystery is compromised by attempts which, perhaps unwittingly, overstate what the Bible actually says. Insofar as Scripture addresses this concern at all, it is entirely consistent in its affirmation that, in harmony with Philippians 2:7, Jesus instead “emptied Himself” (in the words of J.B. Phillips) “of his rights and privileges as God” (NT in Modern English). Consequently I reject this AC assertion. None of the biblical references you cited for sec. 33-35 offer a single support for that assertion. I also apply this same assessment to your references pertaining to AC’s three warnings at its beginning, middle, and end. I would disagree with you about Athanasian Creed 33. I would say that the John 1:14 passage certainly supports the statement that God takes humanity into Himself. The Creed is simply stating that it is God who is acting here, not the human nature. He is the one who exalts humanity by condescending to become nothing as Philippians says. Beyond that we have Psalm 8 and Hebrews 2. The Creed states clearly that it is God acting to exalt us, not us dragging God down. It is also the case that there is no third confused nature that is created but rather the Lord deigns to condescend to take on humanity and thereby exalts it high beyond all that Adam could have ever imagined. This is also the way the Formula of Concord talks about it as well. While I have not read Chemnitz’s masterful work on the Two Natures in Christ, I imagine he deals with the subject far better than I ever good. Thus I leave you in his care and the wisdom of our forebearers in giving us the Creed. While I do understand your worry about going to far with our reason into a mystery I do not think the Creed says too much here but says what is right and proper. As to the anathemas, those who do not believe in the right God are not saved. Thus those who do not believe the catholic faith are damned. Recall Christ’s words regarding who He is in John 3, and John 14. To have a faulty view of God is the essence of breaking the 1st Commandment. If that is not damnable I don’t know what is.